Nicolas Roeg is one of the most distinctive and influential film-makers of his generation. The generation of film-makers who define contemporary movie-making - Danny Boyle, Kevin Macdonald (The Last King of Scotland), Christopher Nolan (The Dark Knight), James Marsh (Man on Wire), and Guillermo Del Toro (Pan's Labyrinth), all acknowledge their debt to the work of Nicolas Roeg. Roeg began as a cameraman, working for such masters as Francois Truffaut and David Lean. 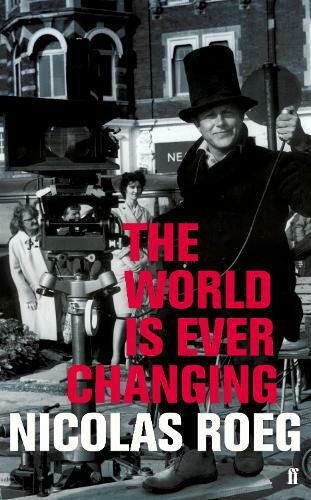 His explosive debut as a director with Performance, established an approach to film-making that was unconventional and ever-changing, creating works such as Don't Look Now, The Man Who Fell to Earth, Bad Timing, Insignificance, and, more recently, Puffball. Having now reached eighty years of age, Roeg has decided to pass on to the next generations, the wealth of wisdom and experience he has garnered over fifty years of film-making.